Essential oils are concentrated extracts that are distilled from plants for use in the healing art of aromatherapy. Aromatherapists use essential oils to ease mental tension, promote energy, and heal certain mental and physical conditions. Some essential oils are natural body deodorizers too. You should always consult your doctor or a qualified aromatherapist before using essential oils, especially if you have a medical condition, are pregnant or nursing, or suffer from allergies. Geranium essential oil is extracted through steam distillation of the flowers and leaves of the geranium plant. It has a floral, sweet aroma that acts as a natural yet unobtrusive body deodorant. The essential oil of geranium has cleansing and antiseptic properties, according to registered nurse and herbalist Dorie Byers in her book, "Natural Beauty Basics." These properties make it a useful oil to combat odor-causing bacteria on the body. You can apply it to your body after mixing it with a carrier oil such as grapeseed or almond oil if you have dry or sensitive skin or with rubbing alcohol for other skin types. You can also add a few drops of geranium oil to a warm bath to benefit from its natural deodorizing properties. Lemon essential oil is frequently used to add scent to body washes and body lotions due to its refreshing aroma. It can be combined with other citrus or some floral essential oils to make a homemade perfume or bath oil. It also acts as a natural deodorizer due to its astringent, antiseptic and antibacterial properties. According to Byers, lemon oil can be combined with geranium oil to make a fresh-smelling and natural body deodorant. You can also add a few drops of lemon oil to a mixture of baking soda, cornstarch and a natural oil such as jojoba or coconut oil to make a natural deodorant. Tea tree oil is one of the most commonly used essential oils for disinfecting wounds, scrapes, cuts and preventing bacteria in both body and household cleaning products. It is commonly used in commercially prepared, natural or organic body deodorants due to its antiseptic, antibacterial properties. Tea tree oil can be added to a spray bottle of water and misted over parts of the body that have an unpleasant or offensive odor. 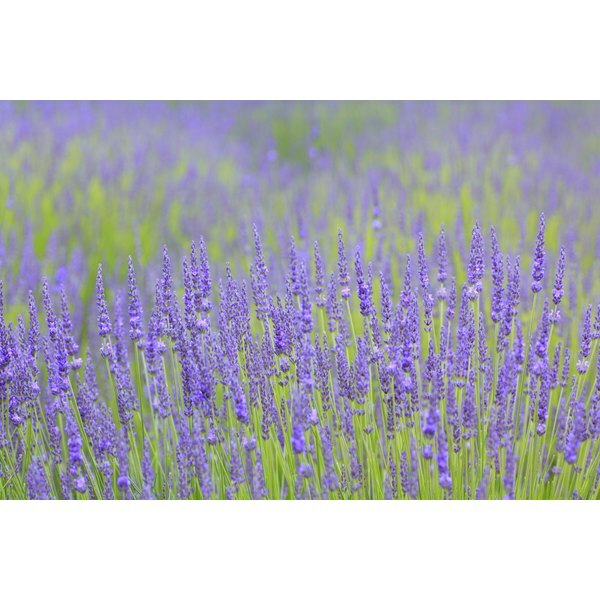 Lavender essential oil is another commonly used oil in aromatherapy. Lavender oil is extracted from the flowers and parts of the lavender plant. It has numerous beauty uses including acting as a natural perfume and deodorant. Lavender oil has a pleasing, floral aroma and antibiotic, antiseptic and deodorant properties, according to aromatherapist Jeanne Rose in her book, "The Aromatherapy Book: Applications and Inhalations." You can mix lavender oil with many other aromatic or deodorizing essential oils to make homemade deodorants. You can also add a few drops to a warm bath to obtain its natural body deodorizing benefits.